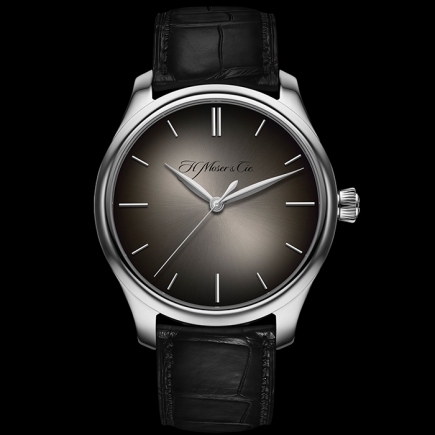 H Moser & Cie | 11'350 € Tax inc. 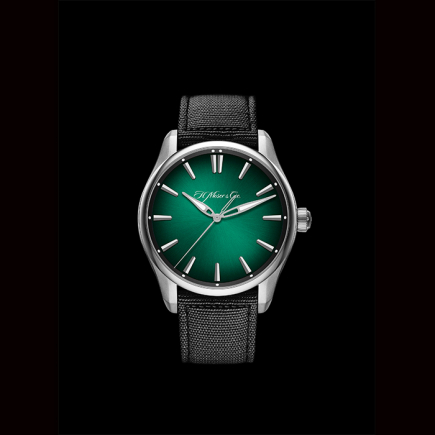 The Pioneer is notable for having the most bold and modern design of all H. Moser collections. With references to the industrial world, its pioneering, adventurous spirit shines through. It comes as no surprise, therefore, that H. Moser & Cie. has opted for this family when including a steel model in its regular collection for the first time. 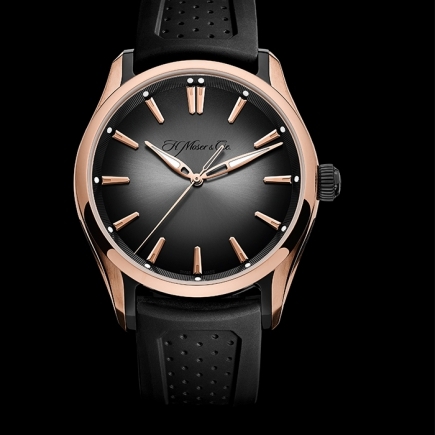 Introducing the extremely wearable Pioneer Centre Seconds Automatic model, with a steel case and a new automatic movement: 100% Swiss, 100% Moser. 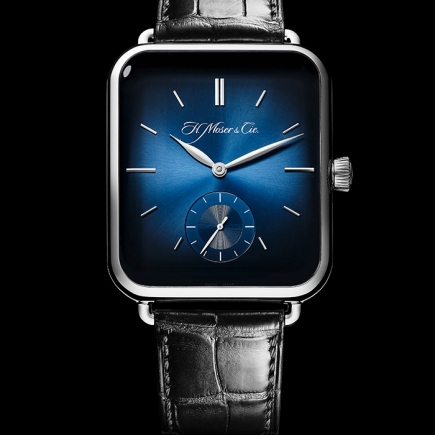 Pioneer Centre Seconds features a magnificent midnight-blue fumé dial, with reflections dancing in its mysterious depths. The indices, topped with a luminescent dot, are faceted, and the hands are partially skeletonised with Superluminova® tips, staying perfectly in line with their open, streamlined aesthetic. 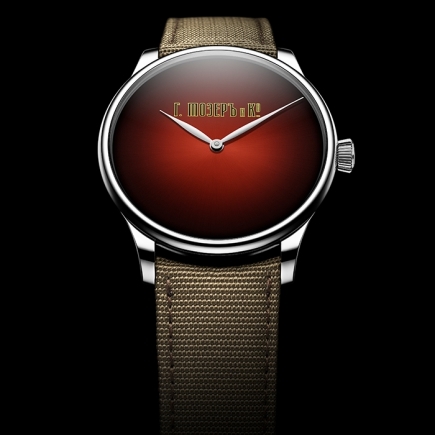 A rubber strap provides the final touch, reinforcing the modern dynamic of this resolutely stylish model. 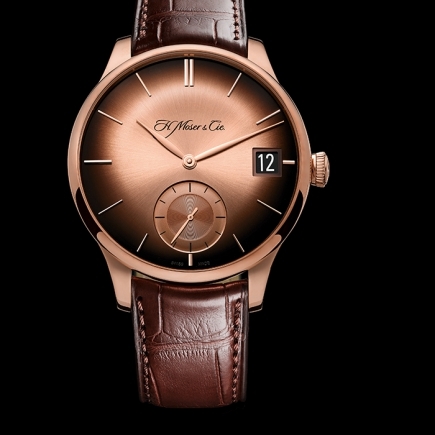 At the heart of the Pioneer Centre Seconds Automatic model beats the HMC 200 movement. 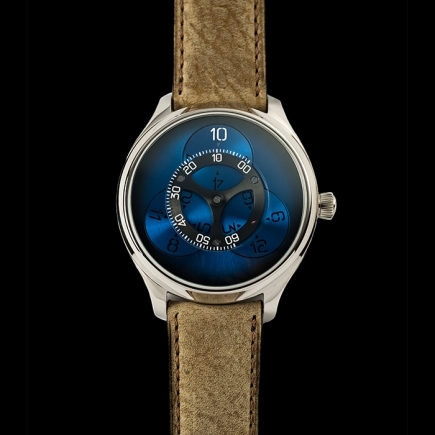 This is the latest addition to the H. Moser collection of calibres, designed, developed and produced entirely in-house. 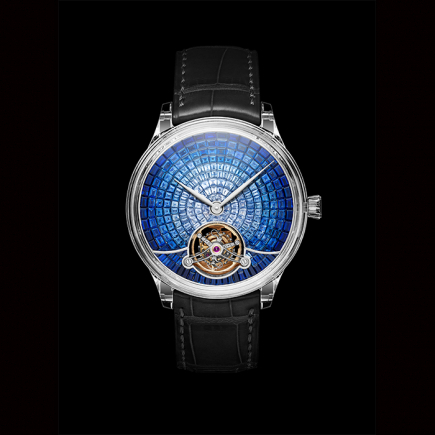 It is equipped with a regulating organ manufactured by Precision Engineering AG, the sister company of H. Moser & Cie. 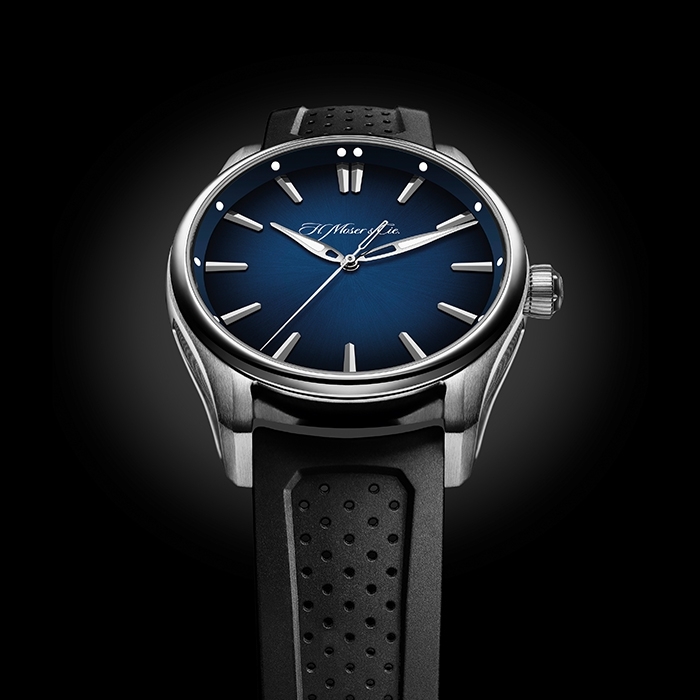 Decorated with the famous Moser double stripes, the calibre HMC 200 houses a large oscillating weight. 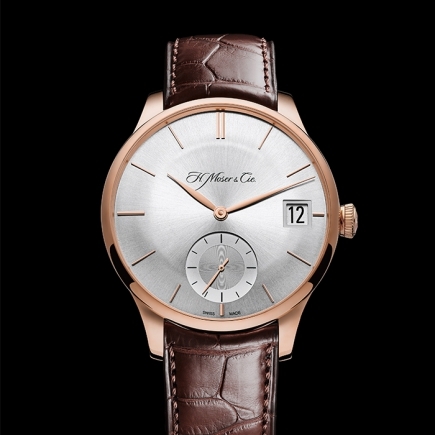 It will join the extensive range of movements from H. Moser & Cie., perfectly complementing the current offering. 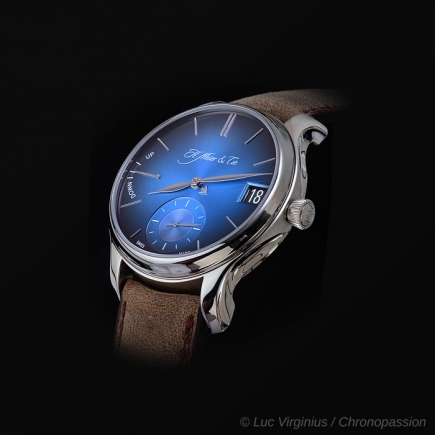 Reference 3200 1200, stainless steel case with a midnight blue fumé dial and a rubber strap.